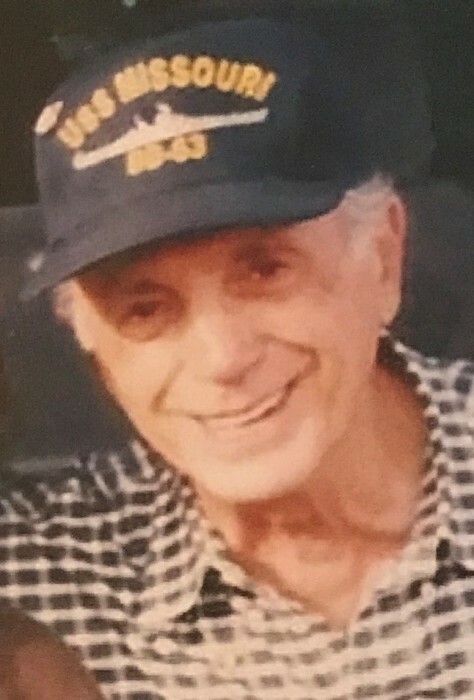 Obituary for Albert A. Circelli | Scala and Roefaro Funeral Home, Inc.
Mr. Albert A. Circelli, age 93, of Utica passed away on Tuesday January 15, 2019 at the Masonic Care Community with his family by his side, after a courageous battle with cancer. He was born to Crescenzo and Antoinette Pastorelli Circelli on October 19, 1925 in Utica. He married the love of his life Rose Marie Gaetano in 1948, a blessed union of 70 years. Albert joined the “CCC” Civilian Conservation Corps., right out of high school and subsequently began his work career with the Topper Beer Co, Balayntine Beer Co. and had a long and enjoyable career with the West End Brewery, until his retirement. Albert was proud of his Italian Heritage and was an American Patriot through and through. Albert proudly served his country in the US Navy and was a veteran of WW II and the Korean War. He served aboard the USS Missouri and was present on the ship when they announced the Japanese would sign the surrender to America. Al carried his military service with him, and every Veterans Day would always speak to the school children, about the significance of the war. Albert’s life revolved around his family never missing one of his wife’s meals, and always attending his children, grandchildren and great-grandchildren’s events. His stories will never be forgotten, from the bean fields and shacks, to the streets of his beloved Utica, to the Military. He was a proud member of the USS Missouri Assoc. and the American Legion Post in Lee Center. He was also a devout Yankee’s Fan. Surviving are his beloved wife Rose; his daughter Roseann Circelli; two sons and daughters-in-law Ken and Lorraine Circelli and Albert and Terri Circelli; his grandchildren Jen (Joe) DePaul, Jill Circelli, Daniel (Karishma) Circelli, Krista (Dave) Smith, Kenneth Circelli, Kaitlyn Circelli, and Jason (Sarah) Circelli; great grandchildren Alexis, Joey and Daniel DePaul, Sofia, Jaina and William Circelli, Jace and Carson Circelli, Anthony and Roberta Circelli and he was awaiting the birth of his 11th great-grandchild; his brother-in-law and sister-in-law Anthony and Diane Gaetano; many nieces, nephews and cousins especially Tony and Rosemary Falchi and Alberta and Pat Santacroce; He was predeceased by his sisters Josephine (Frank) Sebergandio, Edith (Tom) Falchi, Sandra (Bob) Williams, Ann (Louis) King and Florence Circelli; his brothers Amadeo (Mary) Circelli and Philip and Filippo Circelli. A special Thank You is extended to the staff of the Masonic Care Community, Bronx Household and also the Siegenthaler Center of Hospice for their exceptional care and compassion given to Albert during his illness. Relatives and friends are invited to attend his Mass of Christian Burial on Friday at 11:00 am in St. Anthony/St. Agnes Church with Military Honors conferred. Private interment will be in Calvary Cemetery. The family will greet all visitors at the conclusion of mass in church. In lieu of flowers, donations may be made to the Masonic Care Community or the Siegenthaler Center of Hospice. Envelopes will be available.